Google Book Settlement Getting Further Review? The settlement of a long standing lawsuit over Google’s practices of scanning and displaying books at Google Book Search was announced in October and expected to be finalized between May and June. Two weeks ago, in late April, the judge overseeing the case extended the dates until September and October to allow concerned parties more time to digest the complex agreement. Chief among those looking for more time was authors but reports also suggested the Department of Justice was taking a look too. Now it appears that the Attorney General’s of several states are also interested in taking a gander. According to a Reuters report published Friday, the AG’s held a one hour conference call earlier this week to discuss the settlement. There is no report about plans for immediate action, and it’s possible, the AG’s may never get involved. Like many things Google these days (be it board seats at other companies, or other issues) those with the power to look into antitrust violations are keeping a close watch. Google’s become a big blip on their radar. With the book deal, the issue is not necessarily the settlement’s core terms, per say, but instead the bigger picture of oversight on the agreement’s implementation and use. Questions have been raised since the deal was first made public about potential privacy issues, about control and access to information, and about consumer and author/publisher rights. The Library Associations do not oppose approval of the Settlement. The Settlement has the potential to provide unprecedented public access to a digital library containing millions of books. Thus, the Settlement could advance the core mission of the Library Associations and their members: providing patrons with access to information in all forms, including books. 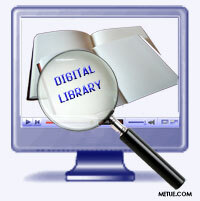 However, the digital library enabled by the Settlement will be under the control of Google and the Book Rights Registry. Moreover, the cost of creating such a library and Google’s significant lead time advantage suggest that no other entity will create a competing digital library for the foreseeable future. The Settlement, therefore, will likely have a significant and lasting impact on libraries and the public, including authors and publishers. But in the absence of competition for the services enabled by the Settlement, this impact may not be entirely positive. The Settlement could compromise fundamental library values such as equity of access to information, patron privacy, and intellectual freedom. In order to mitigate the possible negative effects the Settlement may have on libraries and the public at large, the Library Associations request that this Court vigorously exercise its jurisdiction over the interpretation and implementation of the Settlement. Governmental review seems to be a part of the process some of those involved are calling for. And it appears they’re getting it.